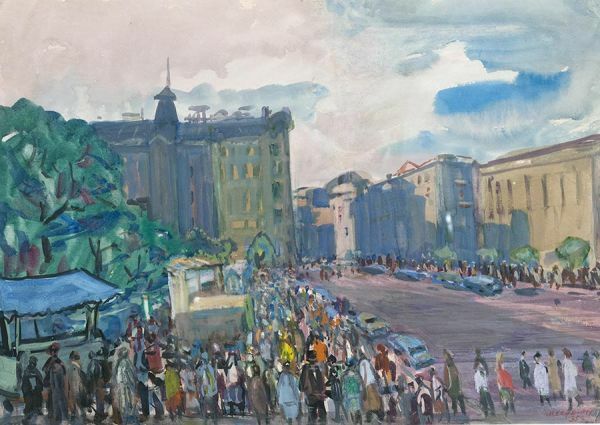 Buy works – Mesropyan Bаgdasar Avetisovich | (1913-2002). 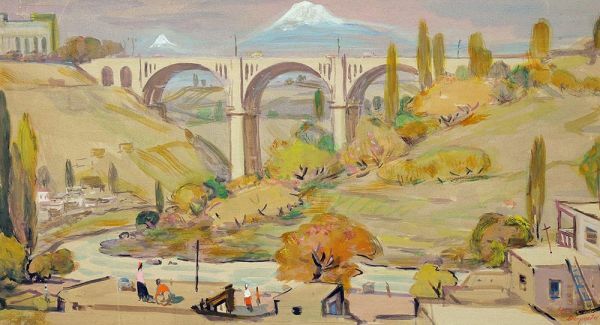 Outstanding draftsman, illustrator of dozens of books of contemporary authors of the North Caucasus and Armenia (in particular the ten books Rasul Gamzatov.) 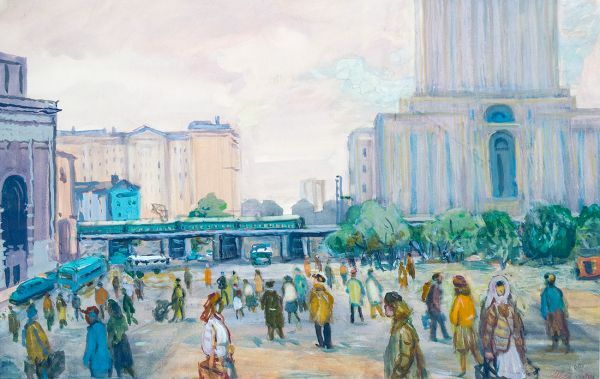 In the USSR, the drawings of the artist was published more than 60 postcards with paintings and graphic works of the author. View to Lomonosov Moscow State University. Moscow. From studio at Devyatinskiy.